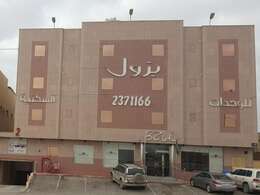 Khurais Mall located in Khurais Road, Exit 28, Riyadh. Khurais Mall is one of the most important and most popular shopping centers in the Kingdom, and it is considered a tourist destination for visitors. Khurais Mall consists of two floors, the first floor includes hypermarket. The mall also offers a mix of the most important local and international brands, which it includes about 180 shops, stores and includes the finest products for clothes, cosmetics and perfumes, watches, jewelry and home furnishings. Khurais Mall provides a number of important international restaurants that offers food from stylish and contemporary international brands to many family eateries appealing to all ages; each with its own distinctive aspect designed to satisfy all customers tastes.Of the most famous restaurants in Khurais Mall: Burger King, KFC, McDonald's. Moreover, Khurais Mall contains a theme park dedicated to children featuring Billy Beez, the world’s largest indoor playground to keep kids entertained. Khurais Mall has highly qualified staff is always at the forefront to ensure that all customers' needs are fulfilled by providing and delivering helpful, professional and high quality service from information assistance to Lost & Found service, ATMs, free WiFi and kids carts. You will enjoy a wonderful shopping experience in Khurais Mall.